Prior to Sunday, the last time that the Massachusetts men’s soccer team matched up against Saint Louis, the Minutemen’s Atlantic 10 tournament dreams were laid to rest following a 2-0 defeat in the first round of the 2013 playoffs. 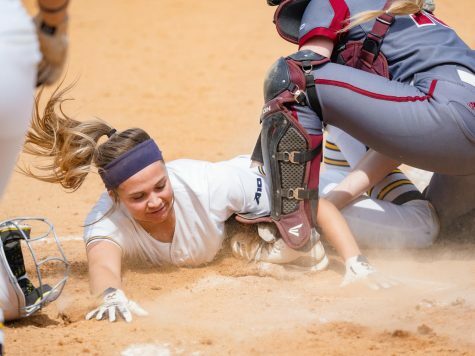 Although this weekend’s result wasn’t as consequential, UMass once again fell to the No. 18 Billikens, 5-0, leaving the Minutemen (1-11-1, 0-3-1) winless since their lone victory Sept. 19 against Fairfield. Five different players scored goals for Saint Louis on Sunday in an attack that outshot UMass 21-7 for the game. The Billikens (10-3-1, 3-1-1) started their scoring in the second minute when Anthony Manning headed a ball in the box past Minutemen goalkeeper Ryan Buckingham for his fourth score of the season. Tyler David and Kingsley Bryce added to Saint Louis’ lead in the 17th and 19th minutes to give the Billikens a commanding 3-0 lead at halftime. 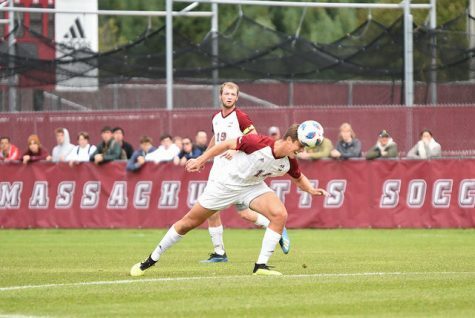 According to O’Neill, the early loss of midfielder Mark Morris contributed to UMass’ struggles on both sides of the ball. The junior was given a red card in the eighth minute, forcing the Minutemen to play with one man down for the majority of the game. 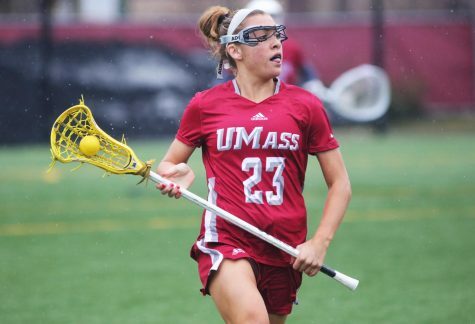 Morris is tied for second on the team with two goals in 2014 after emerging as one of UMass’ top scoring threats in his sophomore campaign, when he recorded four goals. O’Neill said that the loss of Morris not only hindered the Minutemen offense, but also left a hole on their defense. 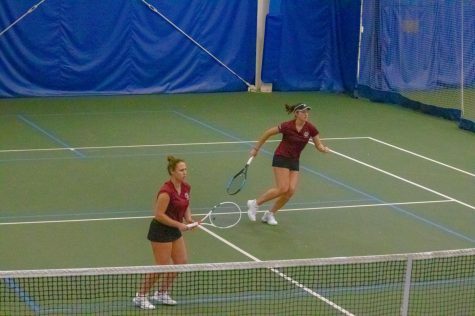 Sunday’s defeat came as part of a winless weekend for UMass, who also lost on Friday to Dayton, 4-1. 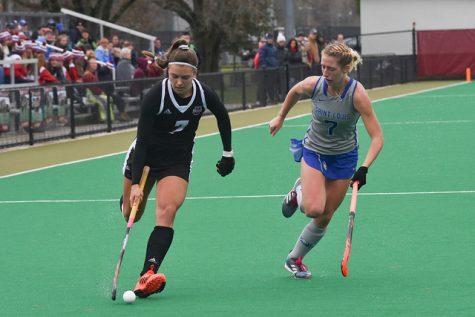 The nine total goals allowed in its past two games come in stark contrast to the Minutemen’s successful defensive run of nine games allowing three or less goals prior to Friday. Buckingham, who emerged as the regular starter in net early in the season, was replaced after a half for the second time in the past two games after allowing the first three goals on Sunday. Redshirt freshman Taylor Culp, who was limited by knee injuries early in the year, came in for the second half and allowed the other two goals. However, while O’Neill said that the Flyers “punished (them),” he said that defense was not a concern following the loss against Saint Louis. Sunday’s game marked the beginning of a five-game road trip for UMass that will include four A-10 matchups. Currently situated in 12th place within the conference, O’Neill said that this will be a crucial stretch of games, as only the top eight teams qualify for the playoffs. Up next for the Minutemen will be first-place Rhode Island (8-3-3, 4-0 A-10) on Friday at 7 p.m.